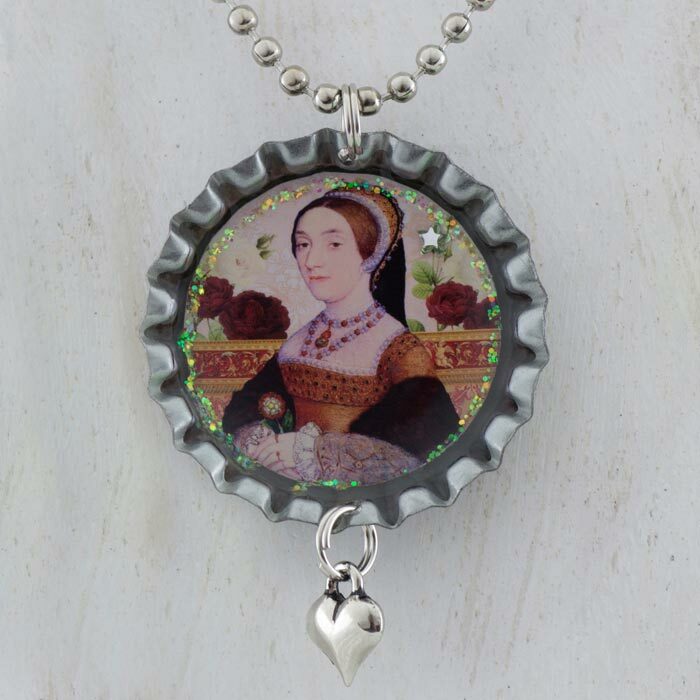 This beautiful, unique and collectible bottle cap Catherine Howard necklace features an image of Catherine Howard holding The Tudor Rose with pieces of antique botanicals of red and white roses and ornamental papers and bookplates. One of the symbolic meanings of red roses is "passionate love" and white roses mean "purity". King Henry VIII called Catherine, "A rose without a thorn". The Tudor Rose is a combination of the red rose of The House of Lancaster and the white rose of the House of York. Catherine is also know as Katherine or Kathryn.